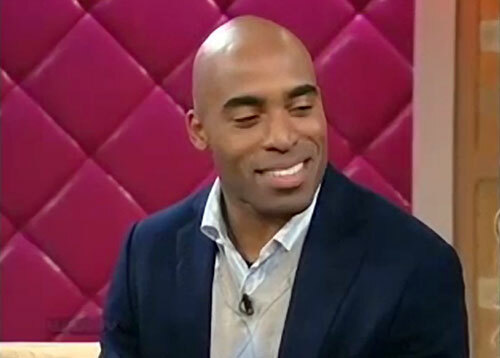 Tiki Barber is a former NFL running back who played for the New York Giants from 1997 to 2006. Barber is a three-time Pro Bowl selection for 2004, 2005 and 2006 plus First-team All-Pro for 2005. Barber was named ACC Player of the Year for 1996 plus he was inducted into the New York Giants Ring of Honor in 2010. Barber has 10,449 yards rushing and 55 rushing touchdowns plus 586 receptions and 12 receiving touchdowns in his career. Sports Speakers 360 is a booking agent for pro athletes. If you would like to book Tiki Barber for a speaking engagement, appearance or endorsement, contact a Tiki Barber booking agent for fees at 1.855.303.5450.